ALS campaigner Bjorn Formosa and filtered water provider WaterPoint Malta were the big winners at the 2018 JCI Malta Awards ceremony on Friday night, as they went home with two awards each. 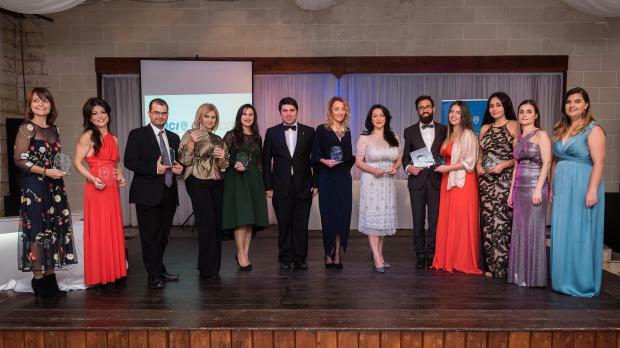 The JCI Malta awards seek to reward adults under the age of 40 and small and medium enterprises which are contributing towards the Sustainable Development Goals. The UN-led SDGs set targets for all the world’s countries to reach over the next 15 years, with the aim of eradicating poverty, battling inequalities and tackling climate change, among other things. Mr Formosa was handed an award for humanitarian leadership and then went on to win a second trophy after he was voted the people’s choice for a global goals award. WaterPoint Malta won an award for the eco-friendliest business and was also voted the friendliest business by the audience at Buskett. Parliamentary Secretary Julia Farrugia Portelli, who spearheaded a reform to allow 16- and 17-year-olds to vote, won an award for impactful politics.